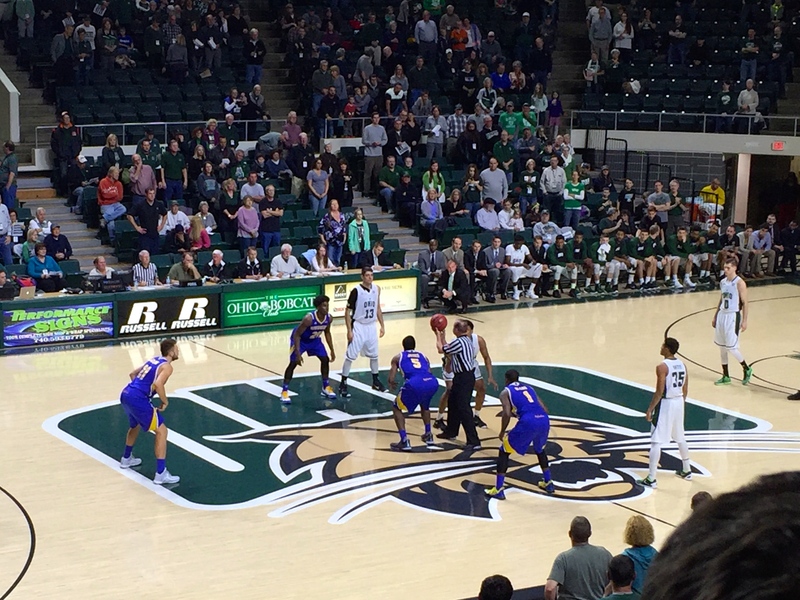 Ohio wrapped up non-conference play with a 81-56 victory over UC-Riverside. Treg Setty scored a season-high 20 points and pulled down 10 rebounds to lead Ohio to a 81-59 victory over UC-Riverside (9-6) on Wednesday night. The win extends the Bobcats’ win streak to five games and wraps up the team’s non-conference slate. Setty scored Ohio’s first six points of the contest and matched a career-high point total that he last tallied as a freshman at Southern Illinois. Ohio opened the second half on a 23-4 run and led by 18 or more for the remainder of the game. Tony Campbell fell one rebound short of making it five consecutive double-doubles with 15 points and nine rebounds. Jaaron Simmons finished with 15 points, eight assists and four rebounds. Thirteen of Simmons’ 15 points came in the second half. The ‘Cats outrebounded the Highlanders 44-27 and never trailed. Ohio tied a season-high with nine steals in the victory. Jaylen Bland led UC-Riverside with 15 points, 12 of which came in the first half. Menno Dijkstra added 10 points and six rebounds. The loss ended the Highlanders’ four-game win streak. The ‘Cats didn’t need to use many of those tools in the win. Saul Phillips says it was his team’s best performance of the season. Ohio opens Mid-American Conference play on January 6 in Dekalb, Illinois against Northern Illinois (10-2).